Some things just guarantee you’re going to have a great birthday. Throwing a pre-birthday party that raises well over a million dollars for a charity you love and support? That’s probably one of them. That’s how Jane Fonda decided to ring in her 80th birthday before the big day even arrives. She’ll officially become an octogenarian on Dec. 21, but on Saturday night, she went to Atlanta to throw a fundraiser for Georgia Campaign for Adolescent Power & Potential, an organization she helped found in 1995 when Georgia had the highest rate of teen pregnancy in the nation. Fonda and GCAPP help work toward teen pregnancy prevention in Georgia while promoting proper nutrition and healthy relationships for teens in the state. The fundraiser was an early birthday party all the way, with an “Eight Decades of Jane” theme (BRB, planning all my future birthday parties to be “X Decades of Christina” themed). It was a star-studded event, with Fonda’s Grace and Frankie costar Lily Tomlin in attendance alongside Fonda’s ex-husband, Ted Turner, musicians Carole King and James Taylor and others. Guests bid on some pretty cool items in a live auction, including lunch with Fonda and Tomlin, a visit to the Grace and Frankie set, dinner at Fonda’s new house in Los Angeles and more. Meanwhile, Taylor and King provided the musical entertainment, serenading people as they made their bids. 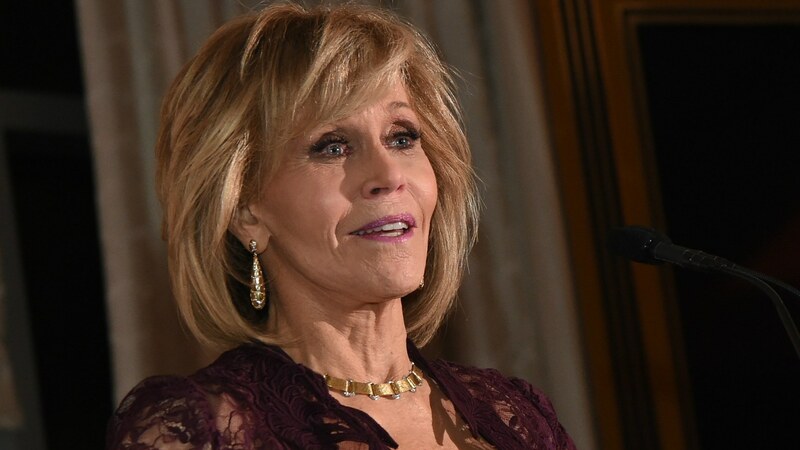 At the end of the night, Fonda blew out the candles on her birthday cake (whether anyone managed to fit 80 candles on a single cake is still unknown) and the bids were tallied up, revealing that the night raised $1.3 million for GCAPP. Happy birthday, Jane. Though after a night like that, we’re sure it already is.